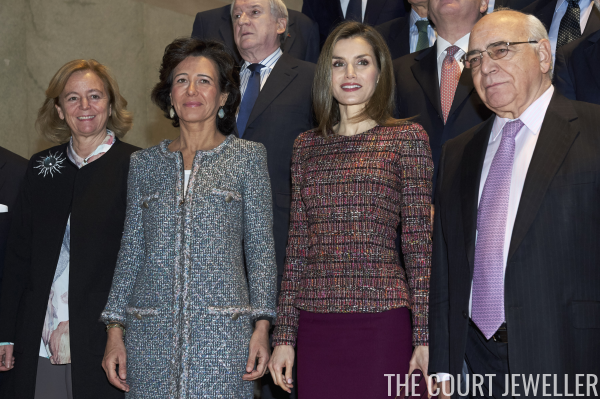 Queen Letizia of Spain met with the Foundation Against Drug Addiction in Madrid on Monday. Letizia is the organization's honorary president, and she wore a major pair of statement earrings for the occasion. The earrings are the Nereida model by Coolook. They're made of gold-plated silver and set with labradorite, lemon quartz and agate. Letizia also wore these last week for an engagement. She wore the earrings with a colorful outfit -- here's a better look of the ensemble and accessories.